They took care of all my electrical problems. 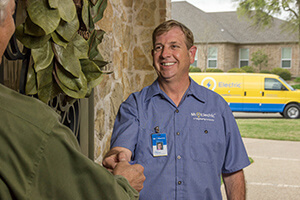 I was very satisfied with the service that your representative from Mr. Electric provided in my home. We needed you in an emergency situation at our nursing home in the middle of the night and your tech came and was very pleasant Thank You. Great service and responsiveness, however, prices on high end. On time...knowledgeable and courteous technician...all around great experience.